The Jacaranda Music Fest is upon us! The summer season has started! Power FM is not holding back at all. It is making sure its audiences are entertained to the core this summer thus this Saturday Power FM will be rocking the first ever Jacaranda Music festival. There will be non-stop amazing performances from some of the big names in the African Music Industry. This event promises to be fun with a whole lot of great performances from 12pm to 12midnight. POWER FM Zimbabwe is the most efficient station to do business with. Brand Power FM makes it easy for existing and potential clients to choose power as it is in touch with trends, and companies can build on that to market themselves and work on gaining and alluring Power FM’s audience. 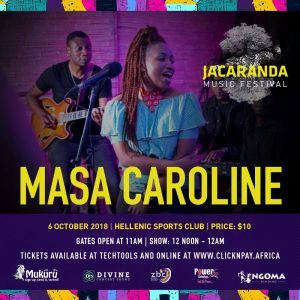 Currently Power FM Proudly brags of a number of top companies that have come on board to partner with the station for the Jacaranda Music Festival set for this Saturday at the Hellenic Sports Club in Eastlea.